Musician and producer Pharrell Williams has announced a brand new multi-day festival offering in his hometown of Virginia Beach for this spring, when he will enlist the likes of Dave Matthews Band, Janelle Monáe, Missy Elliott, Travis Scott, Diplo and more to celebrate the culture of Virginia. The three-day gathering will also include music from Migos, Mac DeMarco, SZA, Anderson .Paak & The Free Nationals, Pusha T, J Balvin, Lil Uzi Vert, Rosalía, Kaws, Maggie Rogers, Ferg, Jaden Smith, Masego and more. Festival-goers can add Diddy and Snoop Dogg to the list of musicians they’ll see at the Something in the Water festival late next month. Usher and Gwen Stefani have also been added to the list. This thing is going to be one of the biggest music events in the history of Virginia Beach. The excitement is definitely building… rapidly! The weekend, which will see Williams working with the Virginia Beach community to give back to his hometown, will also include screenings of Ava Duvernay’s Array and Samuel “Blitz” Bazawule’s upcoming Netflix movie The Burial of Kojo, plus a pop-up church, Trap Karaoke and more. All passes are RFID Wristbands and must be scanned at venue for entry. Wristbands will be sent out three (3) weeks before the event. Check out this Two Tickets - Something In the Water tour I'm selling for $400 on OfferUp. New (never used), I am looking to sell 2 wrist bands to Something in the Water concert series next weekend. I can't go last minute and do not want the tickets to go to waste!. Make an offer! ROOMS AVAILABLE!! WALK or BIKE to OCEANFRONT... Two bedrooms available w/ full & single bunks. Full bath. One bedroom can hold up to 6 & one bedroom up to 4 (same gender only!!) + One bedroom w/ full size bed & full bath for a couple or 2 friends . Apr. 26-28 in Shadowlawn (very safe neighborhood) 4 blocks from oceanfront with easy access to 5th.St. or 9th.St. Bed, bath, free parking, kitchen, WiFi, bicycles, screened back porch in fenced yard. Don't wait til last minute. TWO 3-DAY GENERAL ADMISSION WRISTBANDS FOR SALE NEED THESE OFF ME ASAP!!! Are there any LYFT, SEGWAYs available to rent?! That would be so legit for this event! Where do you recommend locking bikes up? Are there gonna be bike racks available? Is the city gonna be ok with thousands of bikes locked up on the boardwalk railing? Anyone have a room share or selling a room? UBER and LYFT drivers are not getting the proper information on THE SOMETHING IN THE WATER event this weekend. Neither the City or the Event planners are providing any information for us we need to make this work. All we know is there is a drop off spot for the event at 5th St Stage at the Convention Center. There is no mention if we have riders that say need to get to say the Cavalier or say Shuckers or other locations north of 22nd. This is very confusing for us and we would like to make this work without having to inconvenience our riders. Could we get a push from the planners to get with the CITY to clarify where we will be allowed and where we will not. 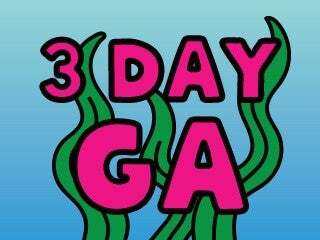 Selling 2 - GA 4 day unregistered wristbands! Message me for details! Birds are back in VB too!!! I have 2 unregistered GA tickets for sale!!! Comment if you're interested! The businesses are also in the dark about road closings . When and where is the interstate closing . What streets are closed . Need to know now to direct people as to best way to get to business etc . SPOILER: There will be heavy traffic.